Ballantyne Housing Market Update/Video: March 2019. Average and median Ballantyne home sale prices saw an increase in March, at 4.3% and 4.6%, respectively. Despite an increase in days on market, homes are still selling in under two months on average. 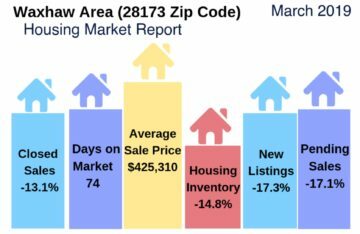 The months supply of homes at 2 months and an 11.8% drop in new listings keeps the Ballantyne/28277 zip code housing market a seller’s market. Ballantyne Housing Market Update/Video: February 2019. Average and median Ballantyne home sale prices saw a significant increase in February, both up by double digits. Despite an increase in days on market, homes are still selling within two months on average. 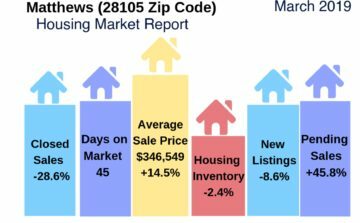 The months supply of homes at 1.9 months and a 21.1% drop in new listings keeps the Ballantyne/28277 zip code housing market a seller’s market.